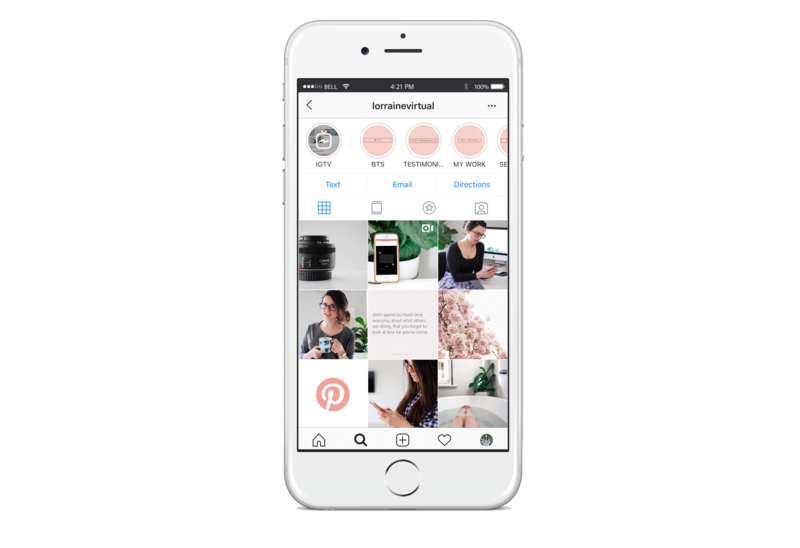 If you haven't already seen, Instagram have just released their new 'shop now' feature which allows your followers to shop your grid! This is such an exciting feature however there are a few things you do need to know. This is being rolled out to Instagram users, so much like Instagram Highlights, not everyone will have this feature available immediately. If you haven't already made the switch over to a business account on Instagram you will need to do so to access this feature. To do this, you will need to link a Facebook page to your account. Having a business account will also open up your insights dashboard which is such an important tool for small business! This is so your products sync to your Facebook which will then allow them to be tagged on Instagram. Most websites should provide some sort of integration for this (I know WooCommerce certainly do) This means whenever you add or change a product this automatically updates. It will pop a little shopping bag in the corner of posts with tagged products on the grid which you may find distracting. It may be best to tag only a few posts not every single post so it is not as noticeable. So how do you use this feature? 5. You now have to option to select person or product. Tap product and then tap on the product in the picture you would like to tag. 7. This is how your photo will look as a single image. The shopping bag in the left hand corner alerts customers that there are products tagged so when they tap the photo the little bubble appears. It then takes them to a screen with the description where they can click 'Shop Now' to be taken to your site to complete the purchase - how easy is that! Instagram have also included an extra section in your insights dashboard for the individual posts (click on 'View Insights' to access this) It shows you how many people have viewed the products and how many people have clicked through to purchase. I think this is going to be a fantastic feature for small businesses! Will you use it for your business? Don't forget to sign up to the mailing list to be notified of new blog posts. How do I enable the ability to tag products on Instagram?